Zeleny joins a growing list of ABC News staffers that have jumped ship to CNN. ABC News senior Washington correspondent, Jeff Zeleny, has joined CNN where he will serve in the same role for his new employer. The move comes two years after joining ABC News from New York Times in March 2013. Zeleny joins a growing list of ABC News staffers that have jumped ship to CNN, including Jake Tapper, Bill Weir, Jim Sciutto and John Berman, and executives Amy Entelis and Andrew Morse. CNN Washington bureau chief, Sam Feist announced Zeleny’s hiring this morning on Twitter. 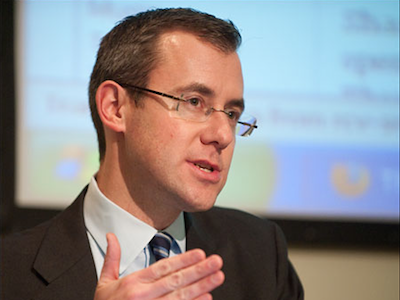 IT’S OFFICIAL: @jeffzeleny joins CNN as Sr. Washington Correspondent. Fantastic addition to @CNNPolitics. Welcome aboard, Jeff! Two of his new colleagues at CNN’s Washington bureau, Matt Dornic and Ed O’Keefe, congratulated Zeleny on Twitter as well. Congrats to @jeffzeleny – welcome to #CNN!